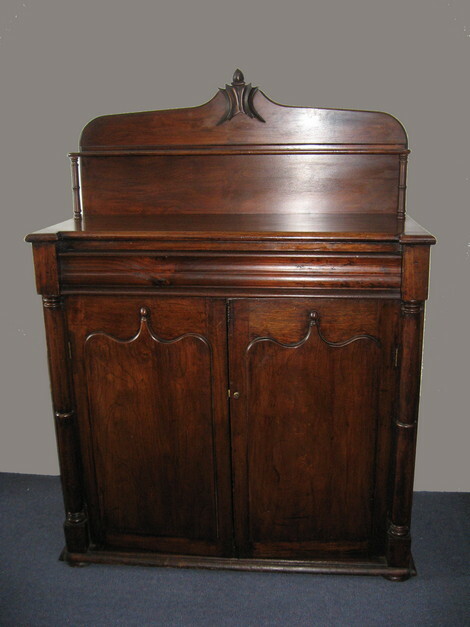 Early Australian colonial cedar chiffonier circa 1840. Full cedar construction. Nice patina. Colonial shield doors flaniked by full length pillars. Good example of antique Australian colonial furniture.